My first pregnancy was relatively smooth sailing. Although I had morning sickness, back pain and carpal tunnel, these are considered “normal” in pregnancy. Even a preterm labour wasn’t considered a huge concern as I was over 36 weeks and 10 days away from being induced anyway. 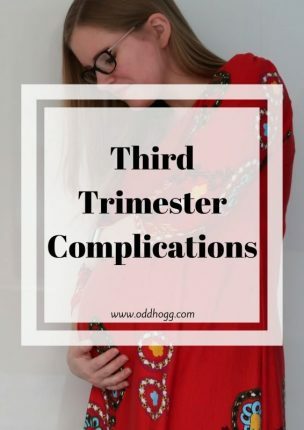 I think that my experience the first time around made me a little naive about possible complications, particularly when it comes to handling a pregnancy with diabetes. My diabetes has not been as tightly controlled this time around, but it has stayed within the guidelines and targets set by the NHS so I haven’t been too worried. Until now. This week I had another scan. That is completely normal with diabetic mothers, we have growth scans every 4 weeks or so. They do the standard measurements, head circumference, abdominal circumference and femur length. As far as I have always understood it, increased abdominal circumference (deviating from your baby’s previous growth curve) in a baby is in indicator that things are not necessarily going to plan. The sonographer is one I have seen before, so we chatted as she started looking at baby. He was being awkward as usual, with his head right in my pelvis but she did get the head circumference measurement in the end. Both it, and his femur length measured at 27+6, approximately 1 week behind. This is completely normal for him as they have been a week behind in all previous scans so no concerns there. However, things were looking less rosey with the abdominal circumference. She took 3 measurements just to be sure, but it was clear that it was measuring over 32 weeks. At my previous scans it has always been in line with the rest of the measurements, so immediately alarm bells started ringing for me. This is the point where things started to get a little confusing for me. When I was pregnant with Piglet all measurements were plotted individually, and I got to have a good look at them. Apparently the system has changed now though, and the sonographer plugs the numbers into a computer and it comes out with a “total” which I assume is made up of an average. With 2 measurements that are a bit small, and 1 that is quite a bit ahead, it means that my baby is considered “normal”. This is all that the obstetric consultant saw when I was called in for my appointment following the scan. She simply saw that baby’s weight places him as on the 80th percentile and that was that – she wasn’t willing to discuss it further. I find this frustrating, as I know if this situation had arisen with my pregnancy with Piglet it would have been noted. The consultant I saw this time was not the one I usually see which didn’t help, as I find my usual consultant understands me and listens to me. I don’t often have questions in my appointments so I know she would have taken me seriously if I was bringing something up. As I am only 29 weeks I wouldn’t expect any drastic action at this stage. 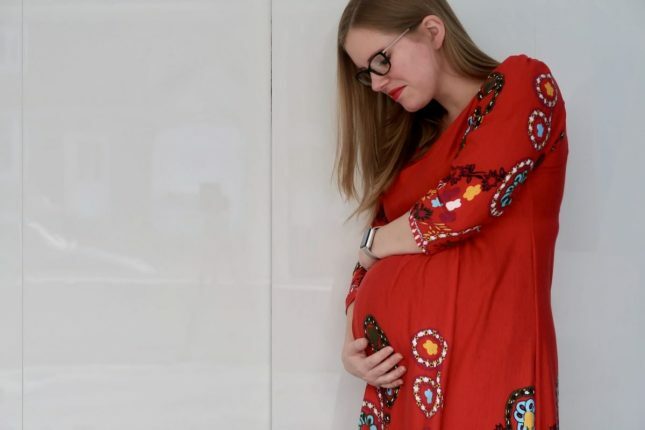 From what I can remember from my previous pregnancy, a sudden jump in abdominal circumference usually results in an early delivery to prevent things getting out of control. I don’t believe this is generally done before 35 weeks (unless there are serious concerns) though so there is nothing to be done for another 6 weeks, other than try and keep my blood sugars more tightly controlled to stop it getting worse. Overall, the appointment left me a bit squirmy. For the first time I left the hospital with more questions than answers. I have to assume that if there was a real danger to the baby that it would have been flagged up, but I can’t get rid of that niggle that something is not quite right. For now, we just wait until the next growth scan in 4 weeks time and see if there has been any change. Why not join our Facebook Group which is hub for women with all different types of diabetes. It is a safe place to ask questions, share knowledge and be open about how you are coping. Obviously I know how hard it is to control bg levels on a normal day let alone with such huge surges of hormones and with your body working so hard – although puberty in my Type 1 son is giving me an insight 😉 I really hope that it’s just a blip in growth and that at the next scan you find everything has calmed down. Try not to worry though, as hard as that is, I have everything crossed for you!